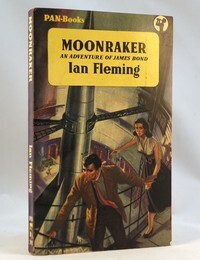 Although Moonraker was the 3rd novel in the series it was released in paperback before Live and Die. First printing 1956. Copies found with 2/- printed to front and copies found unpriced. An unpriced variant copy has been found with the page block upside down (ie when opened the printing is upside down). A 1st edition with the 2nd edition “Peff” artwork has also been found, this was probably a transitional printing where excess sets of 1st edition pages were bound with the 2nd edition covers. Only the 1st paperback edition features this artwork. 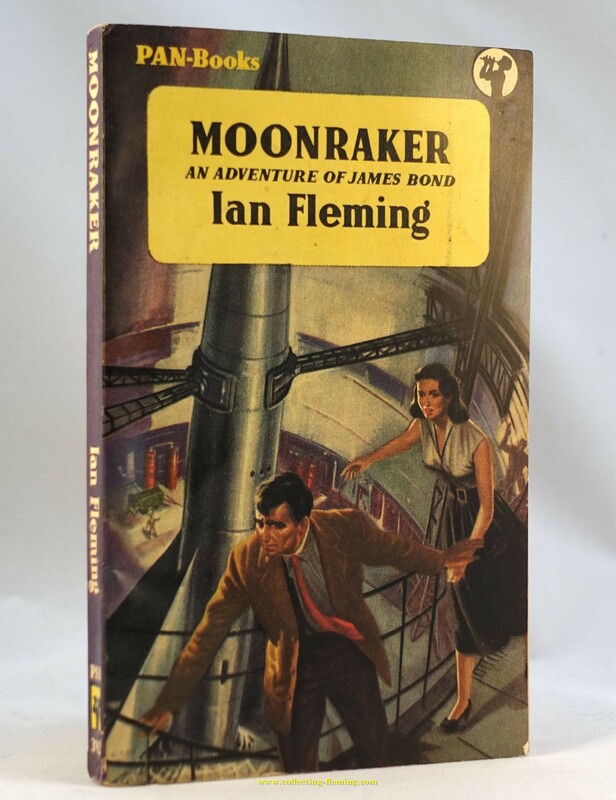 This has made the 1st edition quite difficult to find in good condition as whilst some collectors want one of every first edition, others want one copy of every artwork. As such the 1st edition is the only option for both types of collector.